Could you look after a life-changing puppy for a year? You may well have heard of Guide Dogs, we’re a national charity working to ensure that people with a visual impairment do not lose their independence. There are around 2 million people in the UK living with sight loss, and all experience a different level of vision and mobility. We offer a range of mobility services to help people keep their independence, and have an amazing number of dedicated staff, volunteers, and of course, dogs who support the Guide Dogs mission. Guide Dogs needs volunteers who can help look after and support the training of our guide dog puppies! 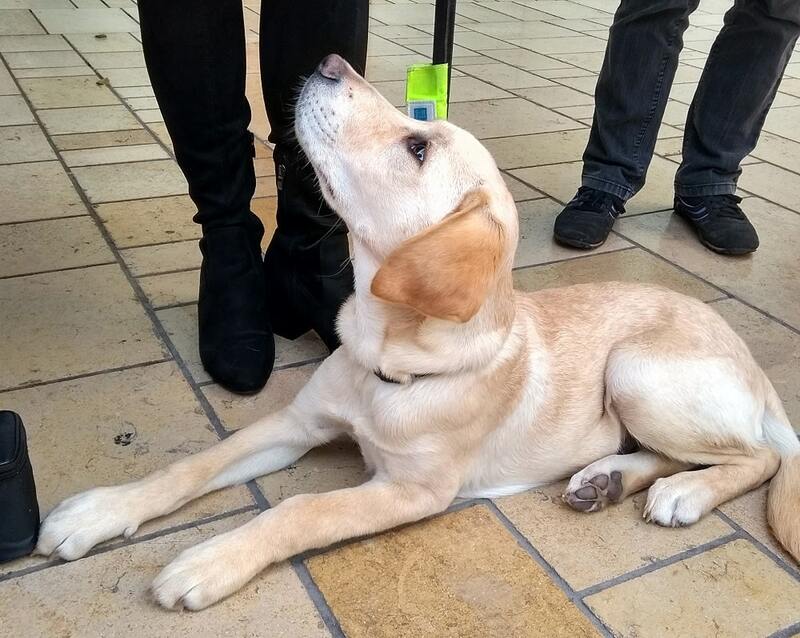 This is a full-time volunteering role as the puppy would live with you, and you would be providing the puppy with a vital foundation for its future role as a guide dog for someone living with sight loss. Training and ongoing support is provided by Guide Dogs and your Puppy Training Supervisor, and all food and vets bills are paid for. To find out more about puppy walking with Guide Dogs or any other volunteering opportunities, visit www.guidedogs.org.uk/volunteer or give the volunteering office a call on 0345 143 0191.